The lignite industry is a very important component of North Dakota’s thriving energy sector. North Dakota has the second-largest known reserves of lignite in the world (behind only Australia) with an estimated 25 billion tons of recoverable resources. It’s estimated that the state’s reserves will last more than 835 years at the current rate of consumption. 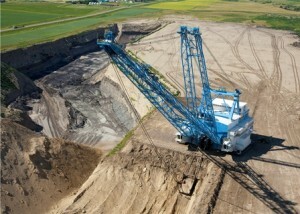 Lignite coal is mined commercially at five surface mine sites in the state (and one mine a few miles away in Montana). That lignite, in turn, produces power at six in-state power plants. Great River Energy runs the Spiritwood Station, which is a combined heat and power plant. 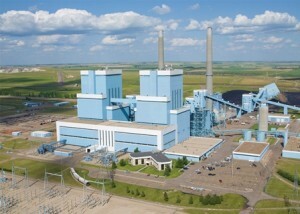 The plant produces steam which is sold to users at the Spiritwood Energy Park, near Jamestown, N.D.
North Dakota is also home to the only commercial-scale coal gasification plant in the United States, which is also the largest carbon capture and sequestration plant in the world. The coal industry is regulated by the North Dakota Public Service Commission. Lignite industry companies have contributed, through total annual taxes, including sales, personal and corporate income taxes, an estimated $100 million in 2015. More than $1 billion in tax revenue has gone to the state of North Dakota from 1975 through 2015 from the lignite severance and coal conversion taxes. The approximately 30 million tons of lignite coal mined annually in North Dakota is used to generate electricity, produce synthetic natural gas and produce fertilizer products. Freedom Mine, near Beulah, N.D. Photo courtesy of Basin Electric Power Cooperative. Mining companies typically have three years to reclaim mined land by grading and respreading the soil and seeding the land. After that, mines have to keep reclaimed land under performance bond for at least 10 years to prove reclaimed land produces crops or forages as good or better than before mining. 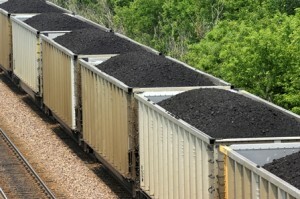 Between 1,500 and 2,000 acres of land are disturbed by coal mining and reclaimed each year. More than 26,000 acres of permitted land in the state have gone through final bond release – the equivalent of around 40 square miles. Mining companies spend an average of $30,000 to reclaim one acre of land, but costs can be as high as $60,000 an acre in some instances. Since 1986, North Dakota mining companies have received 15 national reclamation awards from the federal Office of Surface Mining within the U.S. Department of Interior. Antelope Valley Station near Beulah, N.D. Photo courtesy of Basin Electric. 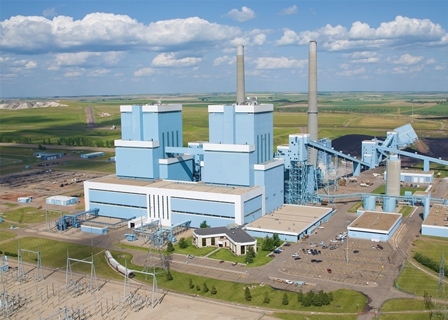 North Dakota’s power plants have invested more than $1 billion in new technology since 2006 to reduce emissions and increase efficiencies. These investments account for 20 to 30 percent of a power plant’s costs. North Dakota is one of only seven states that meet all of the EPA’s federal ambient air quality standards. Great River Energy operates its patented “DryFining™” system at Coal Creek Station to both dry and refine lignite coal for a cleaner and more efficient generation process. A combustion by-product, fly ash from Great River Energy’s Coal Creek Station and Stanton Station is used to make concrete and for soil stabilization purposes, eliminating the need to landfill that product. Coal Lake Wildlife Management Area, consisting of 729 acres of wooded hillsides, native prairie and reclaimed grassland surrounding a prairie lake, was dedicated in the fall of 2014. Land surrounding the lake had been mined by the Falkirk Mining Company to supply lignite coal to the Coal Creek Station near Underwood, N.D., owned and operated by Great River Energy. The land was reclaimed as near as possible to its original condition and donated to the N.D. Department of Transportation. The N.D. Game and Fish Department will manage the area for wildlife, and will provide public access includes hunting and fishing.